Car security is the main concern of any car owner. Getting your car stolen by a thief will possibly be a nightmare for any car owner. As cars have become smarter, so have thieves. They somehow finds a way to lift a car if you have not taken certain measures to protect your car against them. So, how you can be totally relieved when you leave your car? There gear lock comes into play, it ensue that the vehicle cannot be put into gear, or a drivable gear which essentially renders the vehicle immobile. The locks are usually designed to be bulky and highly visible which means criminals would need to put in extra effort to remove such a lock without being noticed. 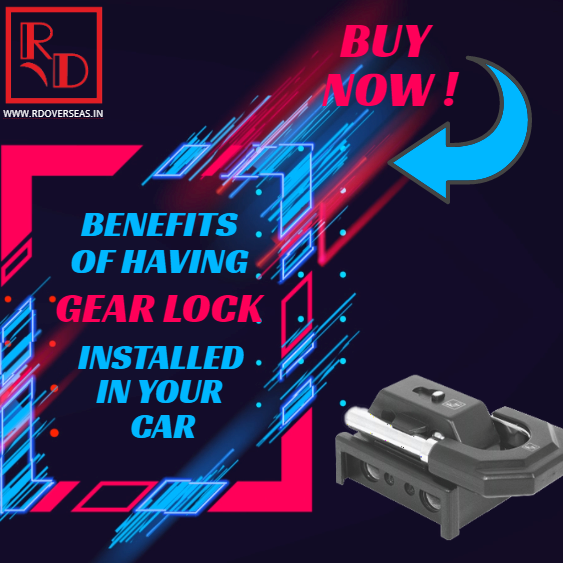 It goes without saying that while a gear lock is effective in locking the vehicles gears it also acts as an efficient deterrent to criminals. Gear lock systems are mechanical which means that there is no need to worry about electronic components or potential system failure. The systems are extremely easy to operate and don’t take up to much space when not in use. The durable materials used to manufacture a gear lock are not easily cut or broken. The locks are fitted with tamper proof nuts for added protection. The locks offer a maintenance free mechanism and have keys that cannot be duplicated. Most gear locks come with a warranty for added peace of mind. For example, when you hand down your car keys to that non-suspicious person, be it the valet or the service adviser at the authorized center. The data collected can later be encrypted to replicate the key. Once they get the details of your residence, they can easily break through your car. Once a intriguer gets in a car, the foremost thing he intends to do is to flee the area. But with a car having a gear lock, he will have to spend his time to get through the lock. And this leads to a loss of time. So, having a gear knob lock is an added advantage.